Every family has a “penny jar,” the place where all the spare change ends up. And someone eventually picks out all the nickels, dimes and quarters, leaving only the pennies behind. We don’t even think of them as “real money.” They’re just pennies. 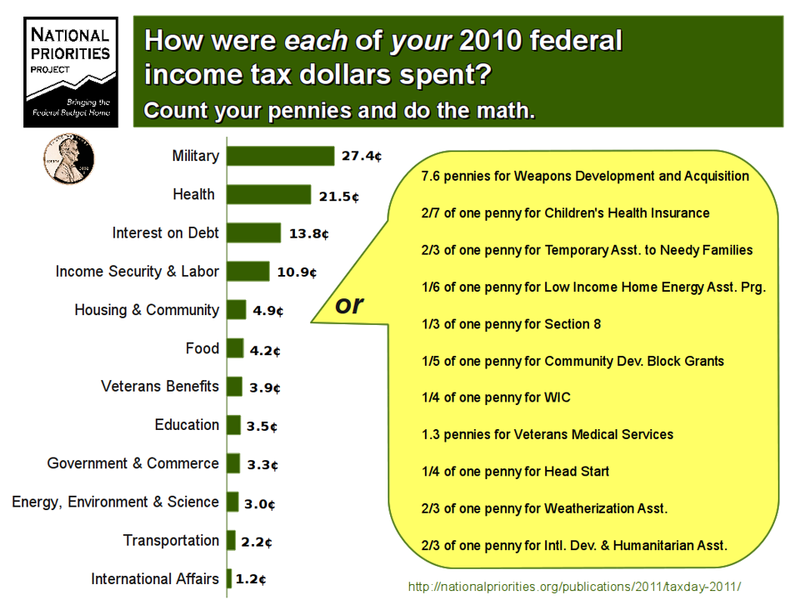 But as the following picture shows, when it comes to each of your federal income tax dollars, pennies can be critical. In fact many federal programs rely on only fractions of a penny out of that dollar for their very survival. Meanwhile, other programs benefit from those nickels, dimes, and yes, even quarters. This is how each of your federal tax dollars was spent last year. Read it. Share it. They’re your dollars. And cents.